Made of 100% natural mineral salts which eliminate odor by leaving an invisible protective barrier. 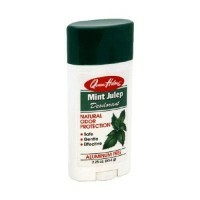 Natural deodorant protection. 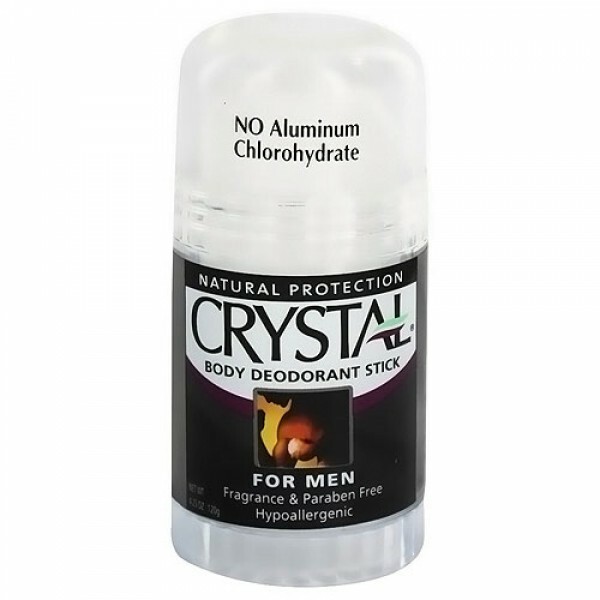 Crystal Body Deodorant is made of 100% natural mineral salts which eliminate odor by leaving an invisible protective barrier against odor-causing bacteria. It is fragrance free, non-sticky, non-staining, and leaves no white residue. Crystal Body Deodorant can last up to a year of daily use. Mineral Salts: This deodorant stone is made of 100% natural mineral salts. Most deodorants on the market are made of chemicals formulated in laboratories or unnatural, unhealthy, chemicals that can be very harsh to your system. With the Crystal Deodorants, the mineral salts form a topical layer on the skin, creating an environment impossible for bacteria to thrive. They eliminate the odor-causing bacteria, and therefore eliminate body odor. How is that different from mainstream deodorants? Most deodorants mask body odor with a perfumed scent, or contain alcohol to shrink pores, or aluminum chlorohydrate/aluminum zirconium. These compounds enter the pores and physically block or clog them to reduce the flow of perspiration. In essence, they inhibit the bodys natural expulsion of toxins. Moisten the top of the stone and smooth under arms or soles of feet. Must be applied to clean skin.